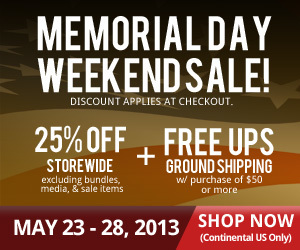 Head over to the Official Matchbox Twenty merch store for a special 25% off Memorial Day Weekend sale! The sale is storewide, but excludes bundles, media and sales items. This promo will run through May 28th, and is in conjunction with a FREE SHIPPING w/ purchase of $50 or greater promo that runs through June 7th. Click here to shop.